Did you hear the one about the Polish supercar? "Hey, did you hear about the Polish supercar?" sounds like the start of a joke that ends with the punchline "but they didn't have enough money to feed the goat." But this, apparently, is no joke. Although all we do have are a few renderings and a translation of the project Arrinera — the supercar from Poland. Remember, when in 2008 it was loud on the development of the first super sports car with Polish? Few believed that such a car could ever arise. 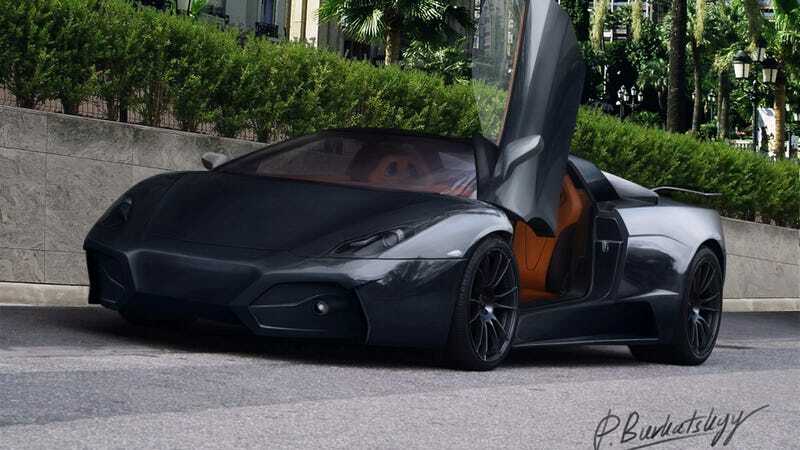 Meanwhile, it appears that the prototype Veno Automotive, which is now called the Arrinera Automotive has already had a test drive, and in June 2011 will be the showcase for the closed circle of investors. This is the official information - straight from Luke Tomkiewicz, President Arrinera Automotive. The most interesting of all is the fact that it was involved in the project Lee Noble - the man who created the 2000 cars of your project. Almost all of these sports cars are exotic, which is characterized by uncommon performance. The basis for the design of sports cars developed by Noble is the output from the light grid space, powerful engine and aerodynamic sports car body. Almost all cars have the engine Noble project is located before the rear axle, which makes these cars very well maintained. Lee Noble is including Ultima for the project. True, few people know about the existence of such a car, but the McLaren F1 probably everyone has heard. It is with Ultima McLaren testing various components, which then used in the model under the name "Albert." Moreover, the model called Ultima GTR (pictured below) and accelerates from 0-160 KM / H, and inhibits back to zero in 9.4 seconds .... Bugatti Veyron needs it "to" 9.9 seconds. Impressive, huh? To think that Lee Noble, who designed the models much faster than a Lamborghini or Ferrari supercar is currently working for the Polish company Arrinera Automotive SA Auto should see next year. We look forward to further developments." Is it based on the Noble M600? The Ultima GTR? Is it supposed to look like a Gallardo? When it comes to Eastern European vaporcar renders it's best not to worry your pretty little head trying to answer those questions.